Widely imitated but never equaled, the Rabbit Habit Original Deluxe has been updated. Silent, yet deeply satisfying power. The Rabbit Habit Original Deluxe now features a multi-speed/multi-function push button controller which allows the unit to be completely customizable in motion, intensity and vibration pattern. Custom motion control with 4 intensities and 5 vibration and 5 rotation patterns. Made of a completely body safe, 100% phthalate and BPA free elastomer material, the Rabbit Habit Deluxe is refreshingly low-maintenance, requiring simple soap and water or a good toy cleaning fluid for thorough sanitization. Elastomer tends to be hypoallergenic, and a safer choice for pleasure seekers with particularly sensitive skin. 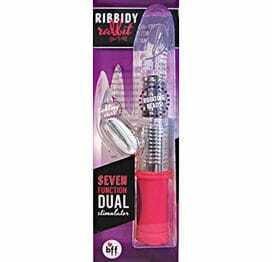 Compatible with water and silicone based lubricant formulas. Not recommended for use in water. Length 9.25 inches. Insertable length 5 inches. Girth 5 inches at largest point. Width 1.5 inches at largest point. Materials ABS Plastic, Thermoplastic Elastomer. Color: Purple, White. 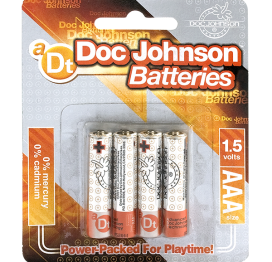 Rabbit Habit Deluxe requires 4 AAA Batteries, not included.